File photo. Entrance fees at Mount Rainier National Park could nearly triple next year. 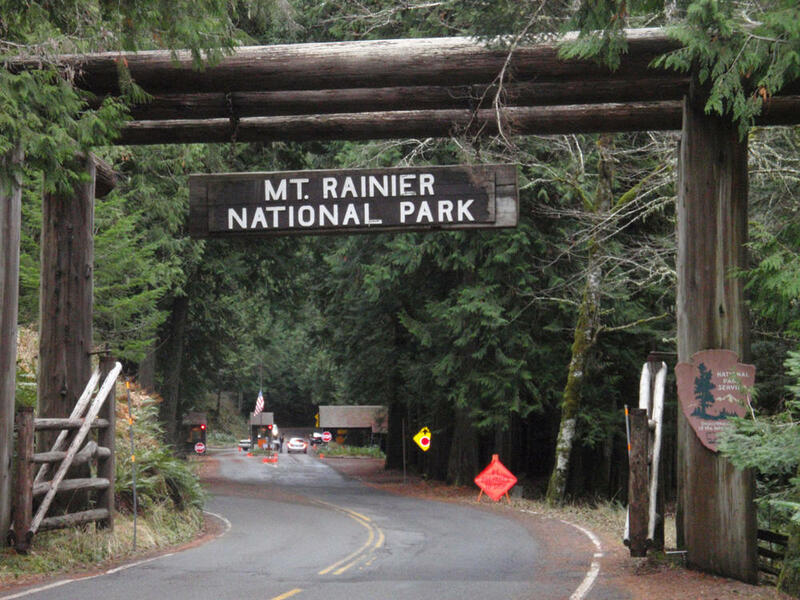 On Tuesday, the National Park Service proposed to nearly triple the price to go into Mount Rainier, Olympic and 15 other parks. The entrance fee would rise from $25 to $70 for a car during the peak season of late spring, summer and early fall. The increased revenue would go to renovation of aging park facilities. But Democratic members of Congress and Washington Gov. Jay Inslee were quick to push back. Washington Senator Maria Cantwell rounded up signatures on a protest letter from fellow senators including Patty Murray, D-Washington, and Ron Wyden, D-Oregon. Their letter said the fee increases "would exclude many Americans from enjoying their national parks." A similar letter from Inslee to Interior Secretary Ryan Zinke said decreased national park visitation would hurt the economies of gateway communities and increase crowding at state and county parks. In the announcement of the park service proposal on Tuesday, Zinke said “targeted” fee increases would help ensure that the most visited parks would be protected and preserved for perpetuity. The NPS estimated the peak-season price structure could increase national park revenue by $70 million per year. The letters from Cantwell and Inslee complained that the Trump administration proposed to cut considerably more than that amount from the 2018 National Park Service operations budget. “This creates a situation where Americans are being asked to pay much more for their parks, and get much less,” Inslee wrote. The National Park Service is taking public comment on the proposed fee hikes until November 23.